Oppo launched a sub-brand in India dubbed Realme and the first phone ever is the Realme 1. 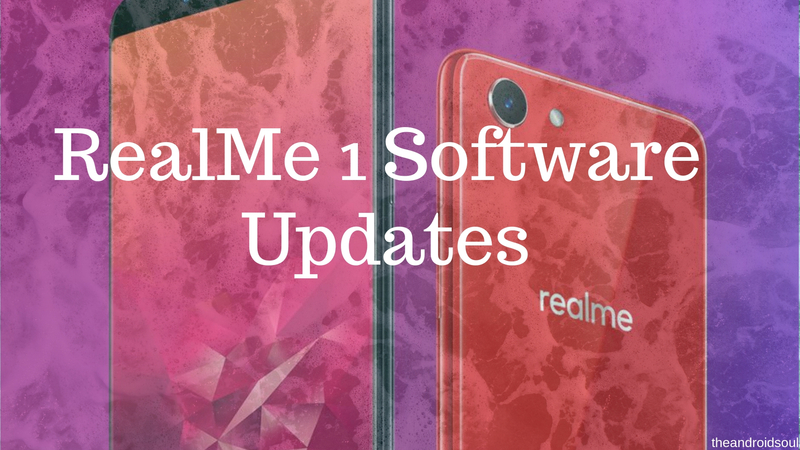 Unveiled in May 2018, the Realme 1 has quite a following in the Asian sub-continent, which is why well be doing our best to keep track of all the software news and updates regarding the phone. Whether it’s ColorOS updates, bug fixes, Android security patches, or even major Android OS upgrades, this page has your back. Like any other Oppo phone, the Realme 1 has ColorOS running on top of Android 8.1 Oreo. The version out of the box is 5.0, but according to the company’s software update schedule, an update to ColorOS 5.2 beta starts rolling out on November 16th, with the stable version to follow on November 25th or later. Although not mentioned, we also expect the latest Android security patch for November 2018 to accompany this ColorOS update. As already noted, the Realme 1 has Oreo out of the box and even better is that the company has already confirmed an update to Android 9 Pie is on the way. Of course, there is still no date, but we’d like to believe an update will be available in Q1 2019, especially since the company doesn’t have many devices to work on.